My names Beth and I'm in my late 20s. I took voluntary redundancy after my maternity leave ended this April so am now officially a stay at home Mom to my 5 year old son and 16 month old identical twin girl toddlers. We live together in Shropshire with Daddy & my husband. It's mainly a parenting blog. My son is now at school and my girls are twins so these subjects are quite often the focus of posts but it can vary massively! I originally set up my blog last October but never really spent much time on it. I really started blogging and sorted out the layout etc in June this year. It's become my hobby and something that still gets my brain going. It's helped me have focus after a difficult time family wise. I love to write about twins (obvs!) I still, 16 months on, can't believe I had twins! They've been a massive learning curve and also impacted greatly on how our family is. I also like to write about C and his school life. With him being my first it's all new experiences for us. I also like to write the odd ranty piece - namely about yummy mummy's and how times have changed for me from being a wannabe YM to just a scummy mummy. I also write a fair bit about my late Mom. It's hard but a good outlet. Other peoples blogs often can plant a seed and I go from there. Twitter conversations often also spark a lot of thought but it's usually things that have been happening that ends up in the posts. It was just an introduction to me and also my family. A very boring bog standard first post! Time. I struggle to find a set routine of putting time aside to sit and write so I'm very erratic in my posts. I like relatable blogs. I hate to admit that I don't want to read how perfect and amazing everything is all the time. I want to be able to think - yeah that's like me! I also love funny blogs. I have a very dry sarcastic humour and I relate to other blogs like this! Enjoy! So cliche but don't get caught up in stats and what everyone else is doing. If you are constantly comparing then you'll never find any inspiration - you'll just become uber bitter! I love Donna at RedheadBabyled. 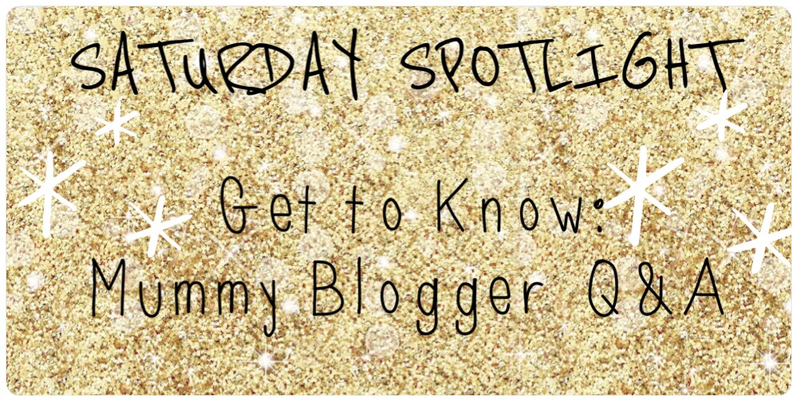 She helped me out a lot when I started blogging and the variety of her posts keep it fresh and interesting. Emma at BrummyMummyof2 is just hilarious and I'll always read her posts as they make me howl! Becky at 3Princesses1Dude is a new blog I've started reading. She's very entertaining too! I have loved having a hobby that is mine. A place to release and also it's helped me find some very funny awesome new friends on twitter. Hey I'm Emily. I'm 21 and a first time mummy to a cheeky monkey called Indiana who is 10 months old. She was born on the 26th November 2013 weighing 8lbs 4oz and has turned our world upside down, in a good way of course! We live in Kent with my fiance, and Indiana's daddy Jack. I blog at www.emilyandindiana.com. I write about all things baby, lifestyle and will soon be adding a wedding series to the blog, which is so exciting! I started blogging back in February to document Indiana's progress and my life as a mummy. It was initially an add on to my YouTube Channel which I started when I was pregnant with Indiana. I now run them side by side as a way of preserving memories and as a space to write down my thoughts about life as a first time mummy. Obviously I love writing about being a mummy the most. Indiana is my inspiration and I love writing her updates, outfit posts and things like that. I also love writing about days out, and giving reviews on things I think will help those who read my blog. Daily life gives me most of my inspiration. Spending my days with Indie gives me loads of ideas to share with you about her. I also find that sometimes I can just be in bed trying to get to sleep when an idea will just pop into my head (I always note them down now, otherwise I just forget in the morning haha). My first blog post was a little introduction to my blog and a little hello from me. My first proper post was my labour and delivery story! Finding time to sit down and do it! I'm working part time, being a mummy, editing for Youtube and writing blog posts, so I'm pretty busy haha. I love reading other blogs, mummy blogs are my favourite. I'm more drawn to posts with good quality pictures and a writing style that's chatty and personal. I always find I follow a blog if a post has made me laugh too! Don't worry if you don't have time to blog! I'd much rather read a post that's had some time and thought put into it, than something that's been thrown together. You can really tell the difference I think. I love writing down the things to preserve the memories. But my favourite thing about blogging is being about to be part of the community. Everyone is so lovely, and there's always someone there whether you need a chat, or want some support. Thank you so much for linking up last week and look forward to seeing this weeks posts :) If you are new or old bloggers to this linky, please please read and make sure to follow the rules which are below. If you could share this on Twitter too to spread the word would be so greatly appreciated! We are now onto #13 of these posts and so looking forward to seeing all your wonderful posts. Thank you for those who join in weekly and if you could share on Twitter to get the word out, would be so greatly appreciated :) Rules are below.. I am 27, a full time History teacher at my local Secondary school, a wife to "the hubby" and a Mama to Sprog. Sprog was born August 2013 after making me the size of a house and is a weighty child plodding along the 98th percentile in his little red book. He is my absolute world and makes my heart melt. My blog is a collection of my random thoughts on life as a parent and life as a working Mama. I set it up in March this year just before I went back to work after my maternity leave. The purpose was for me to reflect upon balancing Mama life and teacher life and also being able to focus on the positive aspects of doing both. I was the only one of my friends to have a baby for quite a while, there are nearly 3 more now but they are all behind Sprog in development so I wanted to find a way to connect with other parents and offload the worries of parenting. There is a lot about the activities that Sprog, the hubby and I get up to at the weekends, they are our escape times for just us three. I write about things I see or read that surprise me or inspire me from other parenting blogs. I have just begun to write reviews for a couple of products and I am excited to see where this could lead. Mainly from the activities that I try and do to make our time together as a family special and from the struggle to find balance in my life. It was about my failure at being a domestic goddess! Nothing much has changed. On that particular day, I had aimed to make Sprog's lunch whilst he napped but failed miserably and burnt the potatoes and the pan! Finding time to make the contacts to increase my audience but also finding things to write about now that my world has been taken back over by teaching. I love good photo's! And some inspiration for things to see and do. I have found it so useful to see that other people have had the same worries or concerns that I have had. Blog about what matters to you. It's not very easy to rave about activities, thoughts, products when they aren't things that would usually entertain you. And include photo's! Everyone is noisy really and just wants to see what everyone else is doing! YouBabyMeMummy, Teacher 2 Mummy, and Belle Du Brighton. By having a commitment to writing my blog, I have a commitment to something that remains just for me. There are not many things that are sacred and solely for me... even my teaching is scrutinised regularly by others so in my blogging world, I can be me, talk about things that concern/worry/excite/please me about parenting with a group of people who can relate and encourage me.